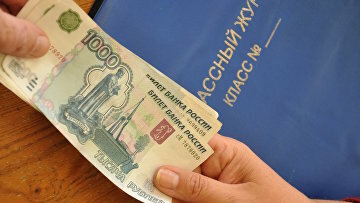 Prosecutor demands suspended sentence for ex-school principal accused of extortion | Russian Legal Information Agency (RAPSI). MOSCOW, February 11 (RAPSI) – A prosecutor has asked a court in Elista, a city in the southern part of Russia and the capital of the Kalmykia Republic, to pass a 2-year suspended sentence and a 1-year probation on ex-school principal Marina Gederim charged with abuse of authority by extortion, the victims’ lawyer Vitaly Zubenko has told RAPSI. However, one of the victims, Larisa Yakupova believes Gederim must be also prohibited from practicing the profession, the attorney has added. In August 2018, a court in Kalmykia acquitted Gederim in this case while prosecutors sought a 2-year suspended sentence for her. Prosecutors and victims have appealed the acquittal. In October, the republican Supreme Court overturned the ruling and ordered retrial. Earlier, victim Larisa Yakupova complained that the school authorities demanded money from parents for various needs including buying new school furniture and schoolbooks. According to Zubenko, in 2017, Gederim asked parents of first-grade pupils to buy the furniture masquerading as voluntary donation. 16:33 11/02/2019 A prosecutor has asked a court in Elista, a city in the southern part of Russia and the capital of the Kalmykia Republic, to pass a 2-year suspended sentence and a 1-year probation on ex-school principal Marina Gederim charged with abuse of authority by extortion.